Illuminated Tour of Paris by night with dinner included! Paris is Paris!! Always beautiful and enchanting at any time of year. At every time of day, she shows off her infinite beauty, but what about the city's magical appeal when the evening lights are in the background? 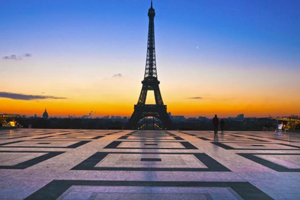 Let yourself be guided on a voyage of discovery through one of the best loved capitals in the world: make the choice of visiting the city on board a comfortable bus followed by a relaxing cruise along the Seine and finish off your evening with the delights of a stylish dinner on the Champs Elysées. Don't miss out on this opportunity! Make your stay in the French capital truly special with a tour of Paris by night: book now by clicking on the button "Book Tour of Paris by Night." The Tour of Paris at Night is comprised of three different stages. In fact, the evening begins on board a cruise along the river Seine which will give you the opportunity to admire some of the city's most prestigious monuments illuminated by the evening lights which are reflected in the waters of the river. The next stage is a tour on board a bus which will take you on a voyage of discovery of the enchantment of Paris by night, all enhanced by the knowledgeable commentary from your Audio-Guide. At the end of the tour, the bus will take you to one of the most prestigious avenues in the capital, the Champs Elysées, where you will be able to savour the delights of a special Parisian dinner. Have a look at the Menu from the restaurant "Boeuf sur le Toit"
From the 1st November until the 31st March: Every day except on the 24th and the 31st December (and exceptional cases) departing at 19:00.